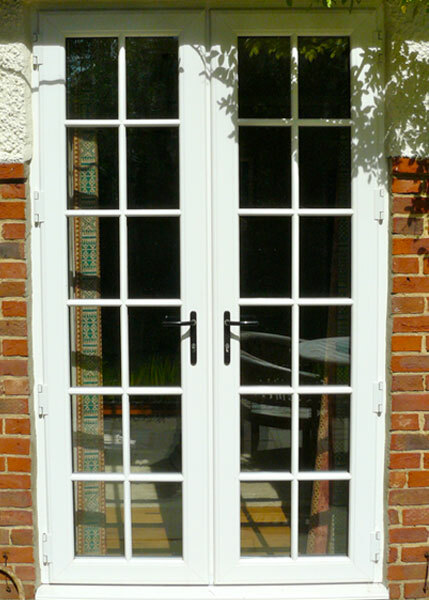 Our collection of replacement door options will bring an individual style to enhance your property. 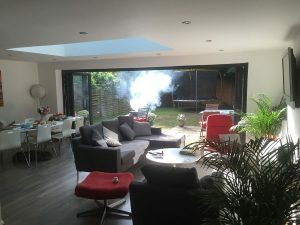 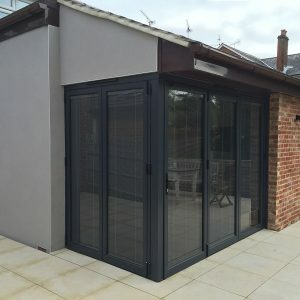 We use high performance materials and advanced engineering to give you a virtually maintenance free, secure and well insulated product which is complimented with a complete range of styles, colours and glazing choices. Bridging the gap between traditional wood and modern uPVC, our range of composite replacement doors will be the focal point of your home and create the perfect first impression. 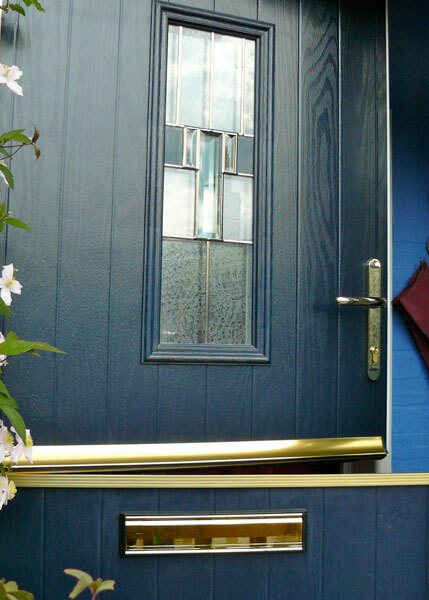 We can offer a selection of composite exterior doors with a wide range of options. 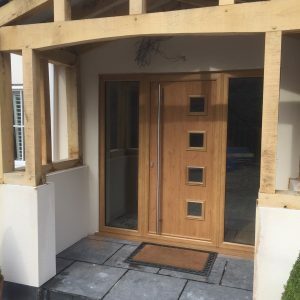 These front and back replacement doors have the traditional and charming appearance of timber, but with the high security multi-point locking of a modern uPVC door. From the most decorative to the simplest designs we provide a complete range of uPVC panelled doors to suit your home. 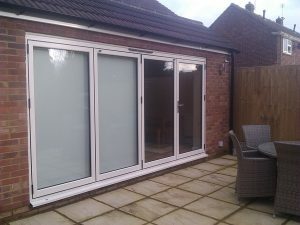 They are available in a choice of colours. 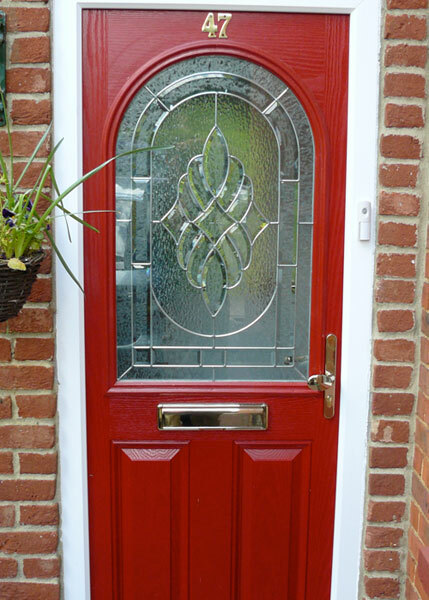 You can specify a solid, part-glazed or even a fully-glazed door and then personalise it with our many optional features such as georgian or leaded glass designs, decorative colours and bevelled glass. 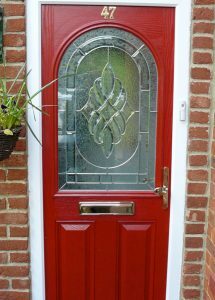 Available as a uPVC panel or Composite door, these replacement doors can switch between two modes of operation. 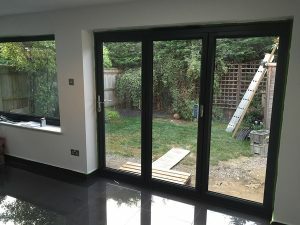 One where the two halves operate independently from one another, and the other where the two halves are locked together and open and close as one door. This provides tremendous versatility as the bottom can be locked shut to keep children and pets secure whilst the upper half can be left open to provide ventilation. 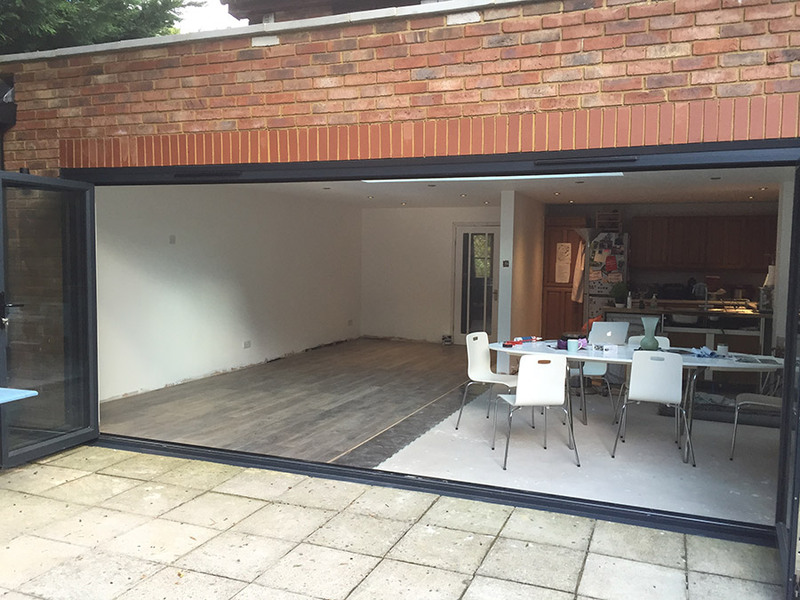 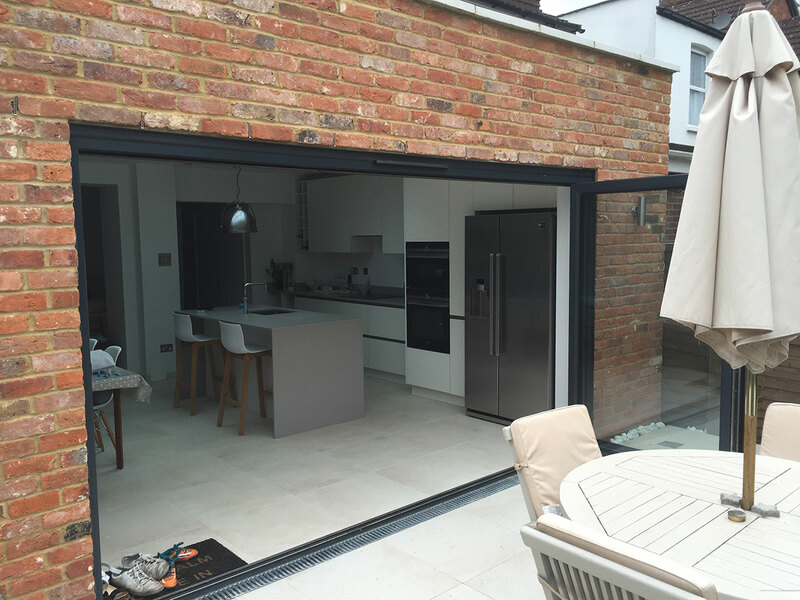 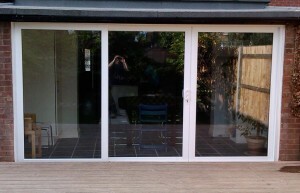 We have seen the popularity of bi-folding doors increase significantly in recent years. 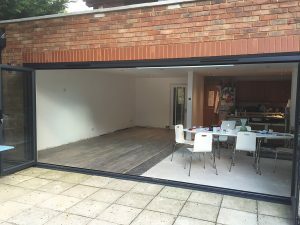 They provide the maximum opening from the inside to the outside and they can be installed to replace french doors or an existing patio door. 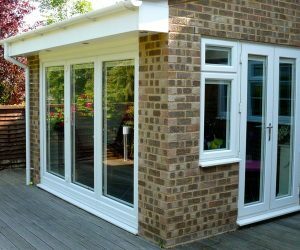 In aluminium or uPVC, both types offer high levels of security and are available in a wide range of styles and configurations. 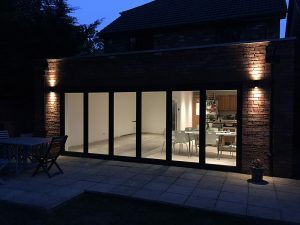 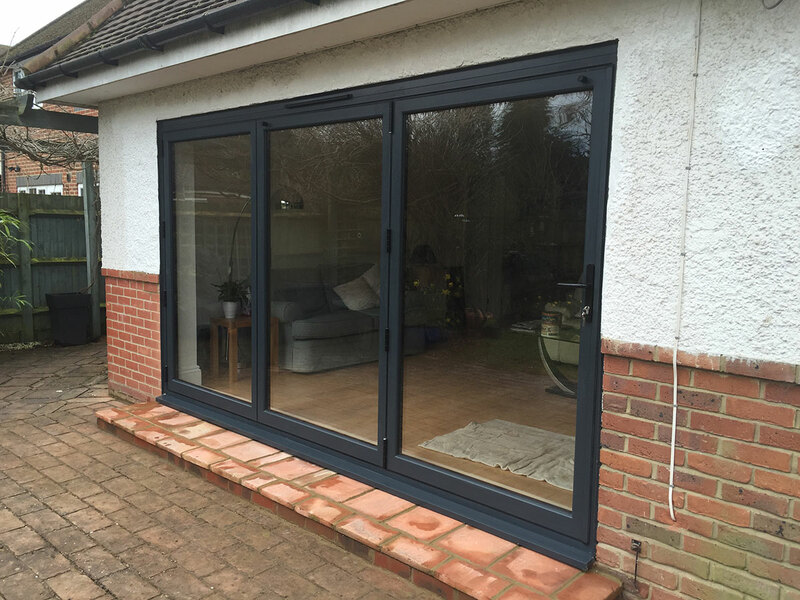 Patio doors are available in `Tilt and Slide and `In-Line’ formats in either uPVC or aluminium and have combinations of two, three or four panes, combined with multi-point security locks and toughened glass. 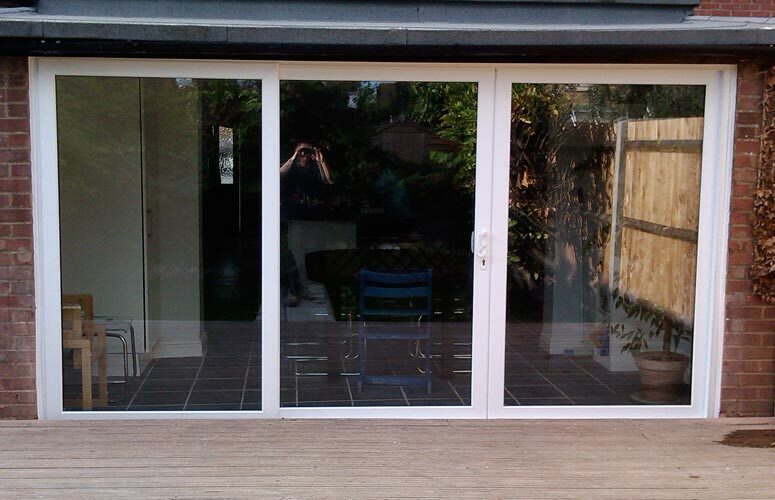 French Doors can be supplied in a wide range of styles and finishes; single or double handed and either inward or outward opening. 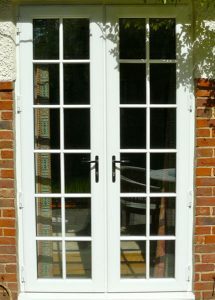 Multi point locking is standard on both doors.